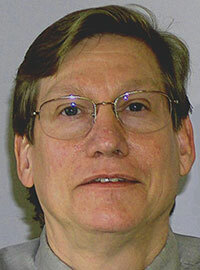 David B. Zilkoski has worked in the fields of geodesy and surveying for more than 40 years. He was employed by National Geodetic Survey (NGS) from 1974 to 2009. He served as NGS director from October 2005 to January 2009. During his career with NGS, he conducted applied GPS research to evaluate and develop guidelines for using new technology to generate geospatial products. Based on instrument testing, he developed and verified new specifications and procedures to estimate classically derived, as well as GPS-derived, orthometric heights. Now retired from government service, as a consultant he provides technical guidance on GNSS surveys; computes crustal movement rates using GPS and leveling data; and leads training sessions on guidelines for estimating GPS-derived heights, procedures for performing leveling network adjustments, the use of ArcGIS for analyses of adjustment data and results, and the proper procedures to follow when estimating crustal movement rates using geodetic leveling data. Contact him at dzilkoski@gpsworld.com. NGS releases beta coordinates and multi-year CORS solution Posted on 03 Apr 2019 in the Featured Stories & Opinions & Survey categories. NGS to perform another Multi-Year CORS Solution Posted on 06 Feb 2019 in the Opinions categories. A look at NGS’ experimental and hybrid geoid models Posted on 05 Dec 2018 in the Opinions & Survey categories. NGS 2018 GPS on BMs program in support of NAPGD2022 — Part 9 Posted on 03 Oct 2018 in the Opinions & Survey categories. NGS 2018 GPS on BMs program in support of NAPGD2022 — Part 8 Posted on 01 Aug 2018 in the Opinions & Survey categories. NGS 2018 GPS on BMs program in support of NAPGD2022 — Part 7 Posted on 06 Jun 2018 in the Opinions & Survey categories. NGS 2018 GPS on BMs program in support of NAPGD2022 — Part 6 Posted on 04 Apr 2018 in the Opinions & Survey categories. NGS 2018 GPS on BMs program in support of NAPGD2022 — Part 5 Posted on 07 Feb 2018 in the Opinions & Survey categories.